The tech industry invested heavily to boost its clout in Washington during the first year of Donald Trump's presidency. 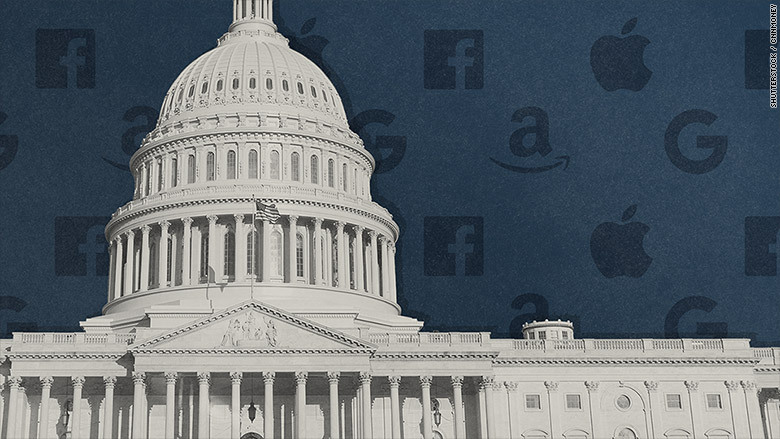 Google (GOOGL), Apple (AAPL), Amazon (AMZN) and Facebook (FB) all spent what are for them record sums on lobbying activities in 2017, according to federal disclosures filed this week. Google was the biggest spender of the group. It pumped $18 million into lobbying in 2017, up from $15.4 million a year earlier. Amazon, the next largest spender of the four, spent nearly $13 million for the year. While Apple and Facebook spent less than the other two, they saw more significant spikes. Facebook's annual lobbying budget grew by about a third in 2017 from the year before; Apple's spending shot up by more than 50%. The increased lobbying activity is a byproduct of both the tech industry's growing power as well the tenser relationship with Washington it has had under Trump than it had during the Obama years. Silicon Valley has publicly clashed with the Trump administration over net neutrality, transgender rights, the travel bans and DACA. Behind the scenes, these tech companies lobbied on many of these same disputes, as well as global trade issues and tax reform. "The uncertainty of Trump means you need to cover more bases," says Bradley Tusk, a regulatory adviser who has worked with Uber and Tesla. "You can't just count on the White House or the Speaker or whomever to carry your water." It's not only Trump, though. The tech industry has also faced greater scrutiny from Congress, including hearings over the role social media platforms played in spreading Russian propaganda and extremist content. Facebook lobbied over the Honest Ads Act, a bill that would require greater transparency for political ads online in response to Russian election meddling, according to its disclosure. 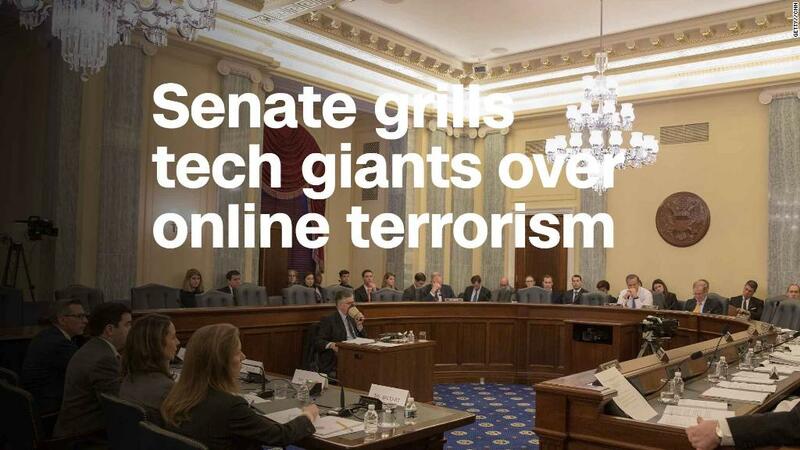 Google lobbied regarding the issue of reporting online terrorist activity. Reps for Google and Apple did not immediately respond to requests for comment. Facebook declined to comment. In a statement, Amazon pointed to its growing presence in Washington. "As one of the biggest job creators in the country, we've expanded our team in Washington, DC to ensure we are able to cover the growing range of topics that are important to policymakers, our employees and our customers," said Brian Huseman, Amazon's VP of public policy. For Amazon, Washington used to be more of an afterthought. Amazon's chief concern was lobbying about internet sales taxes. But now it is moving into areas subjected to more regulation, including food, drones, and, reportedly, healthcare. The latest disclosure shows the breadth of Amazon's interests. The e-commerce company lobbied about drone privacy and food labeling standards -- the latter in the wake of its acquisition of Whole Foods. "Amazon, which we consider a tech company, is also a grocery store. It's everything," says Sarah Bryner, research director at the Center for Responsive Politics, a non-profit group that tracks lobbying activity. "Being so huge now, they are subject to regulation and to policies that just weren't relevant [to them] 10 years ago." The same applies to the other tech companies. Google, which began life as a search engine, lobbied over self-driving cars, and Apple, once focused on personal computing, lobbied over health data, according to the disclosures. "The huge lobbying dollars spent by technology companies demonstrate that they have to explain their business models as never before," says Stewart Verdery, a lobbyist with Monument Policy Group, which works with Amazon and Microsoft (MSFT). "Americans are increasingly wary of privacy implications, impacts on employment, and social media's transformation of society." Silicon Valley's isn't just throwing money at the problem. It's also reconsidering who they have representing them as they face off with the Trump administration and a Republican-led Congress. Google hired an aide to Sen. Ted Cruz for public policy and outreach. Facebook hired a former staffer for Attorney General Jeff Sessions. Amazon is a client of lobbyist Brian Ballard, who served as a finance chairman for Trump's campaign in Florida. This attempt to play political defense represents the new normal for Silicon Valley. As Tusk puts it, "the big tech companies now understand that protecting their backs politically is just as much a necessary cost of doing business as HR or advertising or legal or anything else."